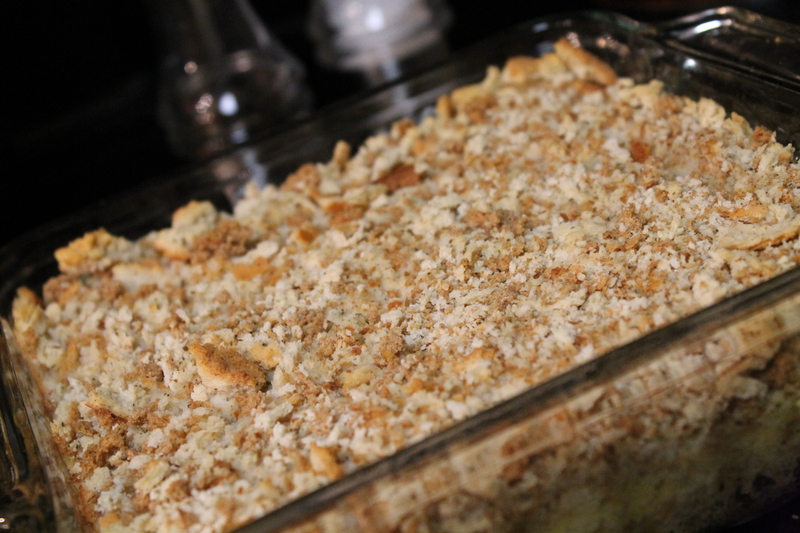 Chicken Casserole | Sugar -N- Spice Makes Everything Nice! This is a family recipe that my mom use to make ALL the time when I was at home. It was one that I definitely had to make sure I got when I got married. It’s easy and something you can make super fast when you get home from work! Which is all up in my alley! *I use frozen chicken breasts, but you can use whatever you prefer. If you are using frozen chicken, however, you need to boil the chicken for an additional 20 minutes. Take half of stuffing mix and blend with melted butter. Put in bottom of a casserole dish. Mix 1 1/2 c. broth with soup with a whisk. Put diced chicken in dish and pour soup mixture on top. Top with remaining stuffing mix and pour 1/2 c. broth on top. Bake at 350 for 30 minutes!